Argos seem to have this on clearance, next nearest price I could find was £39.99. It's not got rave review but it's motorbikes on a portable games machine, what's not to like. Would advise anyone even thinking about this to watch some gameplay videos beforehand. So much has been cut and the game just doesn’t look good at all on the Switch. 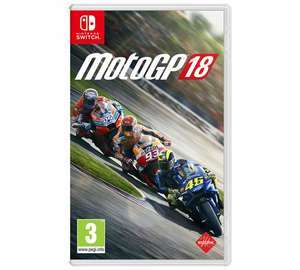 So annoying when these games finally come to switch but have half of their content stripped away, same with the motocross games, ugh. Hope they don't screw up Road Redemption when it finally gets released for the switch.